Now we beseech you, brethren, by the coming (parousia) of our lord Jesus Christ, and by our gathering together unto him, that ye be not soon shaken in mind, or be troubled, neither by spirit, nor by word, nor by letter as from us, as that the Day of Christ is at hand. Let no man deceive you by any means: for that day shall not come, except there come (erchomai) a falling away (apostasia) first, and that man of sin be revealed (apokalyptō), the son of perdition; who opposeth and exalteth himself above all that is called god, or that is worshipped; so that he as god sitteth in the temple of god, shewing himself that he is god. Remember ye not, that, when I was yet with you, I told you these things? And now ye know what withholdeth that he might be revealed (apokalyptō) in his time. For the mystery of iniquity doth already work: only he who now letteth will let, until he be taken out of the way. And then shall that wicked be revealed (apokalyptō) whom the lord shall consume with the spirit of his mouth, and shall destroy with the brightness of his coming (parousia). Christmas is a favorite time of year for many of us. As an adult I have the advantage of many years of experience that enable me to analyze the past and interpret not only its societal meaning, but in particular what certain events meant to me. Christmas stands as a time to reflect on the past in order to recreate the best of the past in the present. We see this in Dickens’ Christmas Carol. Dickens placed far more emphasis on ‘Christmas past’ than on the present or even the future. There are many lessons to be learned from Christmases long, long ago. Growing up, I was the youngest of four boys. My mother was the youngest of eleven children while my father was the youngest of four brothers. Having so many Uncles and Aunts, I had 23 first cousins. We had a big family. With so many uncles, aunts, cousins, and in some cases, second cousins, our Christmases were raucous events indeed. We opened most all of our gifts on Christmas Eve and for some crazy reason we had to watch each person open his or her gifts one person at a time. It would lead to a five-hour long exposition of beautifully wrapped packages torn asunder throughout the evening (and into the wee hours of the morning). The youngest went first, the oldest last. Thank goodness for that. At least the kids did not have to sit through the entire session. For the adults, it was a test of loving endurance to be sure! Someone has said, “Families are like fudge. They are mostly sweet, but still there are a few nuts.” My family, probably like yours, fits this description perfectly. But in the innocence of youth, I did not realize my relatives had any oddities at all. They were family. And when we gathered together, I was surrounded by people that for the most part loved one another and genuinely valued family as perhaps the most important element of their lives. The partaking of gifts, good food, candy, cakes, and all that goes with the American Christmas, made an indelible impression upon me. In looking back, I realize that our surroundings were actually very modest. We weren’t well-to-do. But we were warm, well clothed, and had plenty to eat. As such, my memories are chock full of genuine experiences of joy. For children, so much that pertains to Christmas involves anticipation. We had to wait (it seemed like forever) to open gifts on Christmas morning. We had to stand out in the cold waiting for the parade to pass by to get to see Santa Claus. We had to wade through crowds of shoppers at the department store, and to stand in line to make purchases. Given that these events were all tied to the gathering of the family, much of my anticipation was directed to those last couple of days before Christmas when we and my many relatives would travel from across Texas and Oklahoma to one of my aunt’s houses (or in some seasons to our house!). When the family arrived, all heaven was ready to break loose! It was not about the moment of their arrival. That was usually the most awful of times. I had to kiss my aunts. And they insisted we kiss them on the lips (and some of them had mustaches too!) No, it was about the good times after they arrived. Everyone was together. Candy and cakes came out from the back seat of over a dozen cars. They were stacked high on kitchen counters for easy access. Savory food was put on the stove and the house smelled like a restaurant all afternoon and night. Being surrounded by people, laughter, food, music, and perhaps football on the television, I was ecstatic. There might even be wrestling matches with my older cousins right in the middle of our big living room next to a magnificently decorated Christmas tree half covered by a mountain of presents. It was an intense experience of contentment and good times. To counteract their consternation, he first reminds them that there will be a specific sequence of events that leads up to the Day of the Lord. “Let no man deceive you by any means: for that day shall not come, except there come a falling away first, and that man of sin be revealed, the son of perdition” (verse 3). His rebuttal builds upon the timing of the coming Antichrist. The ‘man of sin’ or ‘man of lawlessness’ precedes the coming of Jesus Christ. Moreover, his coming happens before the Day of the Lord. Paul is saying to his church, “Stop worrying. We cannot yet be living in the time we call ‘the Day of the Lord’ because the Antichrist has not yet come.” Jesus can only come at the end of that period known as The Day of the Lord. But He will not come until the Antichrist comes first. To follow his argument more closely, Paul states that the Antichrist, the son of perdition, can only come (erchomai) after a “falling away” (apostasia – apostasy) comes first. The verb translated come, erchomai, is frequently used in the New Testament and it has a simple meaning: to “come or go” or “make an appearance.” It also has a temporal sense, such as, “one event comes right after another.” For instance, the Three Kings erchomai (are come now) to worship the Christ child (Matthew 2:2). They had come at that time from the east (probably Babylon) to Jerusalem. They arrived at a specific point in time. Furthermore, Paul expresses the distinction between the coming of the Antichrist and Second Coming of Christ by using two different Greek words to signify the nature of their respective ‘comings.’ These two words are quite different from one another. The Antichrist’s actual ‘coming’ Paul expresses as an apocalyptō. Three times he refers to the Antichrist’s coming with this term. This ‘coming’ is much more involved than merely ‘showing up’ as is expressed in erchomai. Erchomai involves ‘coming onto the scene without a fuss.’ On the other hand, apocalyptō implies ‘coming into view with a fanfare.’ Erchomai is mundane. Apocalyptō is dramatic. One cannot help but notice apocalyptō stems from the same root word as the word apocalypsis, from which we translate, apocalypse. We see John’s Revelation as an apocalypsis. It is a noun representing ‘the full story’ of Jesus Christ’s manifestation. But Antichrist’s revealing constitutes an apocalyptō. “That man of sin (can only) be revealed” (apocalyptō) after the apostasy (apostasia) has first come to pass. Furthermore, this apostasy is so significant and so unique it can only happen after something (or someone) else completely leaves the scene. Something (or someone) must first be taken out of the way. Paul says, “And now ye know what withholdeth that he (Antichrist) might be revealed (apokalyptō) in his time.” Unfortunately for us, the context is not so obvious here. We do not know with certainty to what or to whom Paul was referring. Is the “what” that withholdeth or restraineth the son of perdition (1) “the law,” (2) “the government that maintains order,” or as many evangelicals believe (3) the Holy Spirit, who indwells believers?” The implication would be that the Church is the restrainer because the Holy Spirit dwells within each believer, each member of the church. Until the Church is taken out of the way the Antichrist cannot make his presence known. The Church must go away before the Antichrist can apocalyptō–that is, be revealed. Paul goes on to reinforce his assertion: “For the mystery of iniquity doth already work: only he who now letteth will let, until he be taken out of the way.” Paul acknowledges that the ‘spirit’ of Antichrist, the son of perdition, the man of lawlessness “doth already work.” This mystery exists and is here now. However, the full revelation of Antichrist cannot come about, cannot apocalyptō, until the spirit that restraineth stop doing the restraining! Who is this “he” that must first “be taken out of the way?” As many students of biblical prophecy recall, this verse deserves its own careful examination because the doctrine of the rapture of the Church closely connects to it. It is my position that “he” is Christ through the agency of His Holy Spirit as infused in the spirits of believers worldwide. It is the Lord who will ultimately destroy him. The ‘spirit’ of His mouth consumes him. We read: “And then shall that wicked (one) be revealed (apokalyptō) whom the Lord shall consume with the spirit of his mouth.” (2 Thessalonians 2:8) For the third time, Paul uses this word, apokalyptō. In each usage, Paul communicates that the revealing compares to an ‘unveiling.’ Something heretofore has remained hidden and unidentified. It lies ‘behind the curtains.’ But there will be a moment when Antichrist ‘comes.’ His coming constitutes a revelation, a surprise, something unexpected. When it happens, the curtains will suddenly be pulled back. It will be like the climax of a makeover when the ‘reveal’ finally transpires. It can be compared also to a magic trick whose conclusion causes a double-take or the audience gasping for breath. We know that with any surprise or trick, once the surprise comes (is revealed), it no longer constitutes a surprise. Whatever the ‘shock value’ was, it wears off rather quickly. This conveys in part the nature of the coming Antichrist. It is sudden, it is shocking, and it is unexpected. But, the coming of the Antichrist does not go on forever. Antichrist’s existence lasts but a moment. True. The Bible teaches he will cause unparalleled trouble for three and one-half years. But it is only for a short while. John says as much in Revelation 17:10, “And there are seven kings: five are fallen, and one is, and the other is not yet come; and when he cometh (erchomai), he must continue a short space.” In this verse, Antichrist coming is minimized because he ‘cometh’ and stays only a short space. Paul uses a very different word to express the coming of Jesus Christ. He uses the word parousia (pronounced, par-row-see-a). 24 times the New Testament employs it to express a very different type of ‘coming.’ Unlike apocalyptō, it comprises a ‘kind of coming’ that does not happen in a single moment and then it is over. It stands out as the word which refers to the Second Coming or Advent of Jesus Christ. When Jesus comes, he stays, he abides. His presence persists. He sets up His Kingdom and continues on from that moment in time forward. The word parousia consists of a type of coming that once completed, it never ends. The word connotes that “when the Lord comes He will never go away again.” Furthermore, when He is present, there is no mistaking him. When He arrives on the scene, His presence will be felt from that moment forward. Moreover, it is not just about His presence. “Now we beseech you, brethren, by the coming (parousia) of our lord Jesus Christ, and by our gathering together unto him…” From its first usage, the reason for the coming of the Lord is to form a community. We are to be “gathered together until Him.” Once united, we will not be separated ever again. 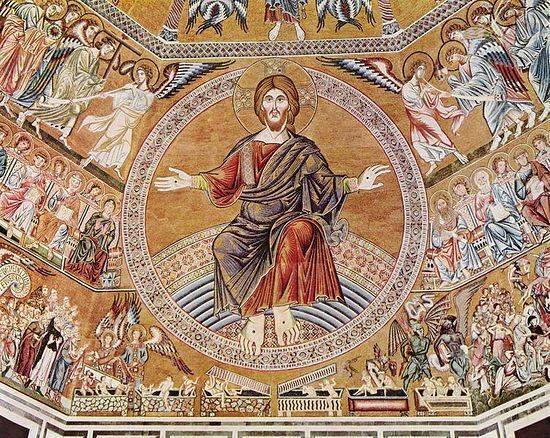 Parousia describes the presence of Christ with His disciples on the Mount of Transfiguration, (2 Peter 1:16). When used of the return of Christ, at the rapture of the Church, it signifies more than His momentary ‘coming’ for His saints, but His presence with them from that moment forward until He completes His revelation and manifestation to the world. Parousia constitutes ‘being with’ someone. When Jesus Christ comes, the inference is plain: He comes to be with us personally, and to abide with us from thenceforth forever. For me, it was like this when my relatives were to come to our house for Christmas. This was the anticipation so deeply felt when I was wishing for Christmas. It meant ‘being together’ and being surrounded by the ones you love and that love you. Looking for the Second Coming of Christ should demand at least the same anticipation as we have for Christmas. Christmas time comprises the season of Advent. Advent is a noun derived from the Latin verb advenio, to come or to arrive. During the season of Christmas, the coming of Christ constitutes what we anticipate and celebrate. Likewise, we will be gathered together with Him and with one another. That is why the coming of Christ and the rapture of the Church are to be great words of comfort that we are to express to one another frequently and to remind one another that when He comes again, it will be like Christmas every day of the year, for time and for eternity! This article is drawn from Doug’s book BLOOD MOON: BIBLICAL SIGNS OF THE COMING APOCALYPSE. Click here for information about the book or to purchase from Amazon. Both printed and Kindle copies are available. Some have even suggested that the ‘someone’ is the archangel Michael although I have not come across a particularly cogent rationale for why this would be so.